I became a fan of theme parks at a very early age. Disney World was the first one that I can remember visiting, it was one of my absolute favorites growing up. Our Dad took us to the Magic Kingdom every single year until I was about 12 years old. Once my sister and I got older and outgrew the beloved cast of cartoon characters, he introduced us to Universal Studios. Disney World became a distant memory after being exposed to Universal Studios. It was vastly different from what I was accustomed to, but I recall thinking that it was so much cooler than DW. Fast forward to the present day where I recently had the opportunity to introduce the Universal theme parks (Universal Studios & Islands of Adventure) to my 9 year old nephew, Ju-ju. It's been years (and years) since I've stepped through the gate of any theme park, so I was excited about the day we'd be spending there. However, I was more excited about experiencing these cherished places through his eyes, and making new memories that we could share for years to come. 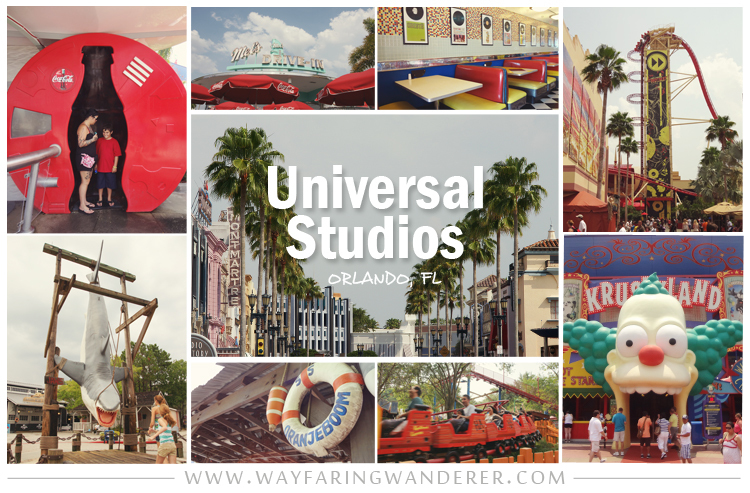 We spent a total of two days in Orlando, the first day was spent visiting Islands of Adventure, and the second day we ventured to Universal Studios. One of the main reasons why I wanted to go to IOA was because I was dying to see the new Wizarding World of Harry Potter area they recently opened up. But I also thought that Ju-ju would enjoy Suess Landing, Jurassic Park, Toon Lagoon, & the Marvel Super Hero Island, since he's a fan of cartoons, dinosaurs, and spiderman! We planned the perfect time to go, apparently, because our wait-time for ride lines was extremely short in most cases. That's not to say, though, that there weren't a lot of tourists there, it was still packed with people. Our plan to arrive at the gate super early, and travel in the opposite direction that the flow of foot-traffic followed helped us avoid heavy crowds. The only thing we weren't really prepared for was the fatigue that resulted after a few hours of walking around and standing in line. It was so worth it, though. Thankfully, there were plenty of opportunities to take much needed breaks throughout the day. It was so much fun journeying through the uniquely themed Universal parks. We rode a ton of rides and shared a lot of laughs along the way. 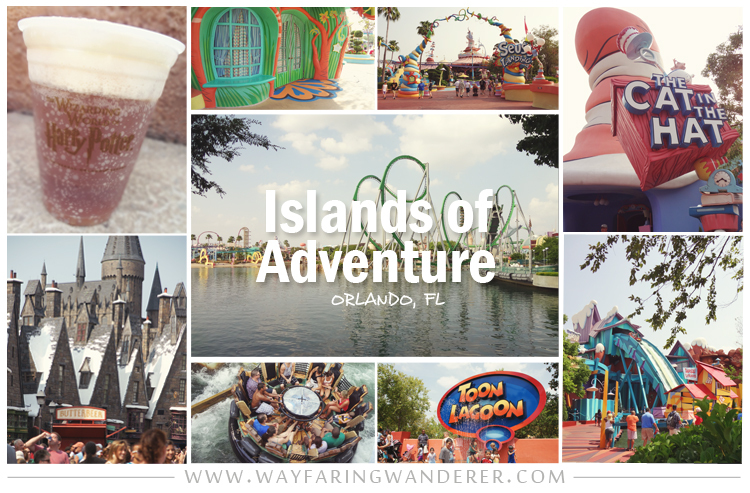 There are many highlights to showcase from our fun-filled days at Islands of Adventure and Universal Studios. In the next post, I will feature some of my favorite rides, including the Wizarding World of Harry Potter, so stay tuned! When was the last time you went to a theme park? I had such an awesome time!!! Love love love the photos.. and I hope at christmas we can go to another... maybe it won't be soooo hot!!! I got suckered into doing the "easy" roller coaster and nearly died of terror. I'm a giant, giant wuss. And then the thing stopped and the guy's all, "Again? OK AGAIN!" and started the coaster again before I could get off. I went to Disney World when I was six or seven, and, for the rest of my childhood, viewed it as kind of the gold standard of just how good life can be. When I was a kid growing up in the 1950's in North Carolina, blackberries used to grow wild, in abundance, in our back yard. My Mom used to make blackberry pies regularly. I really miss them. My mother use to make blackberry dumplings to die for. Those were the days!